We're all guilty of not getting enough sleep sometimes. Whether it's down to deadlines at work or uni, staying out all night partying or simply not being able to tear yourself away from Tumblr, we all do it. Whilst I find sleep is my favourite part of the day sometimes (sad but true) there do come times when I just don't get enough of it. For those occasions, I thought I better put together a post on faking a good night's sleep. Now, when I wake up, even after a full eight hours, I don't tend to look my best. Far from it, in fact. My skin is sallow and dull, I have puffiness and dark circles under my eyes and my eyes themselves tend to look teeny tiny in the morning (partly due to the fact I walk around the house for a good ten minutes squinting at the sunlight, but that's besides the point). This in mind, I have to get to serious work with my makeup and skincare of a morning if I didn't get a good night's sleep. Obviously, I'll start with skin, and I usually find a splash of water mixed with an energising cleanser tend to pave the way for waking my skin up. Then it's onto moisturiser. Despite having oily skin, there is no way I could skip this step in the morning, especially if my skin is looking dull and sallow. To help wake my skin up further and give it a brightening boost, I'll pop on my Origins GinZing Energy Boosting Moisturiser*. I swear by this moisturiser if your skin is feeling a bit worse for wear. It smells incredible - a seriously zesty scent that wakes you up almost immediately, and gives your skin everything it needs to face the day. 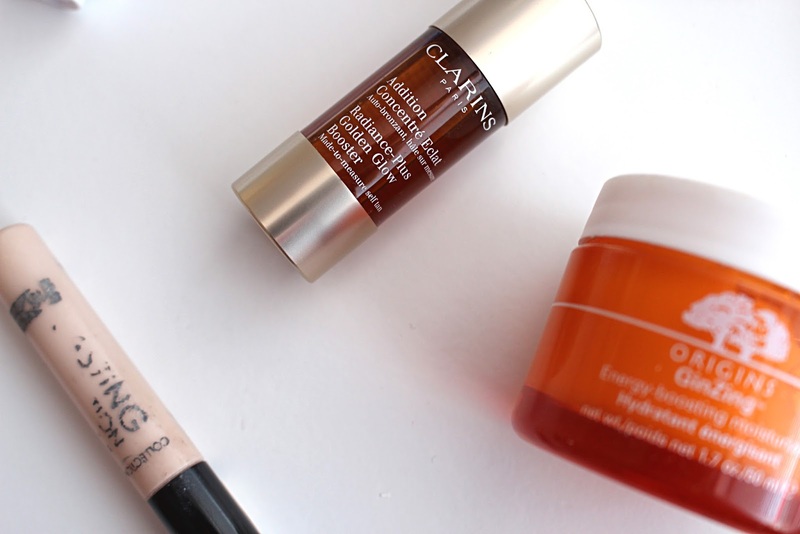 To give this already energy boosting moisturiser an even bigger boost, I find adding a few drops of the new Clarins Radiance-Plus Golden Glow Booster* to my moisturiser is perfect for adding a touch of colour and radiance. Whilst I'm still testing this one out, I love the idea and I've got high hopes for it. Then it's onto eye skincare. A big deal when looking awake is high on the agenda, prepping your eyes is crucial to help open up your face and erase all signs of tiredness. 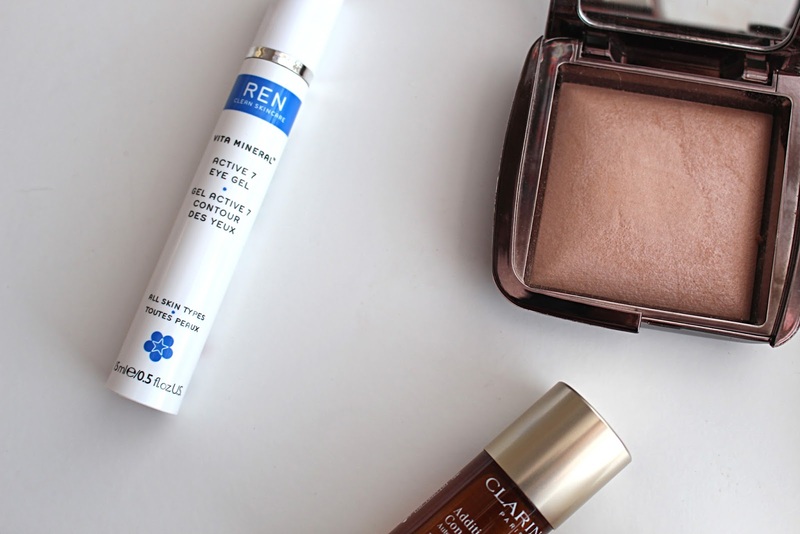 REN's Active 7 Eye Gel* is amazing for waking those peepers up of a morning, and is packed full of goodness to keep the delicate eye area in check. Sticking with eyes, there is nothing better than popping a touch of concealer on to really get rid of any remnants of partying/spending too long on Candy Crush. As you'll have seen if you read my review on it here, my current favourite concealer has got to be Collection's Lasting Perfection Concealer. It provides amazing coverage and is my absolute go-to when it comes to removing all signs of tiredness. Then, finally it's on to those little finishing touches to get you looking bright-eyed and bushy-tailed. As it's all about the eyes, mascara is obviously a biggie. 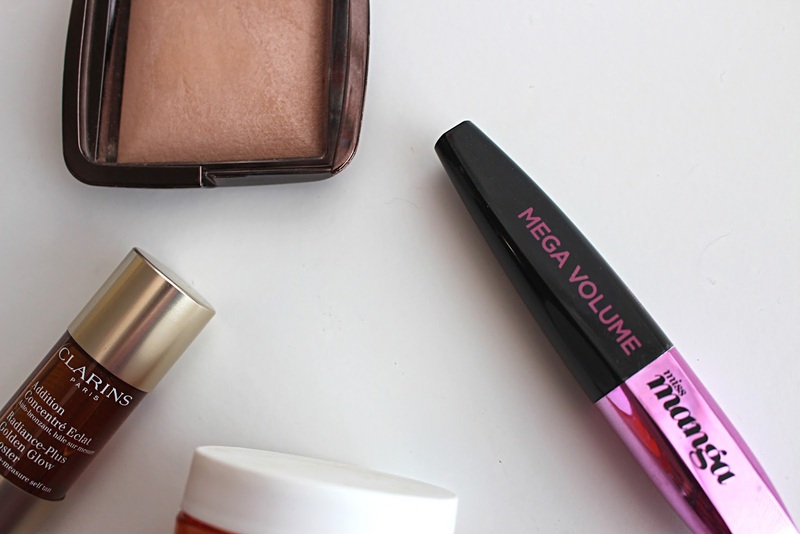 L'Oreal's Miss Manga Mascara is amazing for giving your eyes length, volume and curl. It's perfect for really opening up your eyes. As is white eyeliner - this cheap-yet-cheerful white liner pencil from MUA is great for making your eyes appear bigger, and thus less sleepy! To finish things off and give yourself a glow, add a touch of highlighter to the mix to really illuminate and wake up your face. The Hourglass Ambient Luminous Light Powder is totally gorgeous and gives you a beautiful candlelit glow. 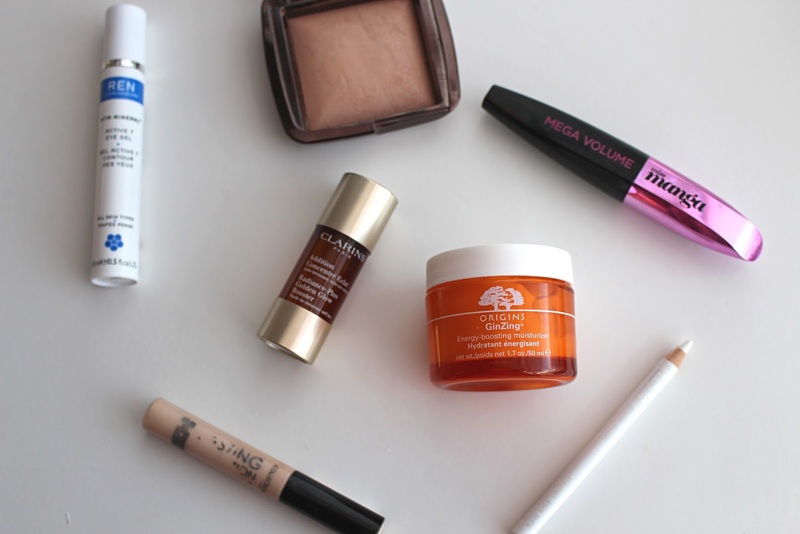 What are your must-have products for faking a good night's sleep?